This is the fore edge for volume 2 of the 1851 George P. Putnam First Edition, Version 3. 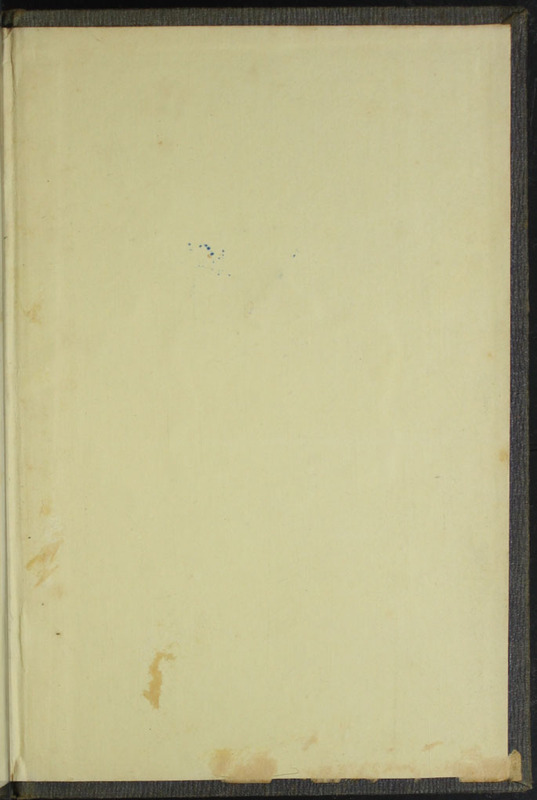 This is the tail of volume 1 of the 1851 George P. Putnam First Edition, Version 3. This is the fore edge of volume 1 of the 1851 George P. Putnam First Edition, Version 3. 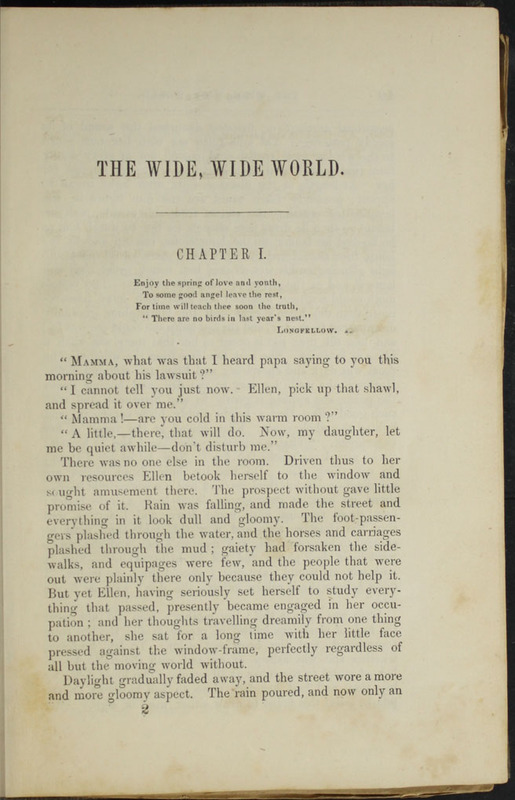 This is the first page of text in volume 1 of the 1851 George P. Putnam First Edition, Version 3. It features an epigraph taken from Longfellow's "It Is Not Always May." The Wide, Wide World is at the top of the page in all capitals, with a decorative rule under it. Chapter 1 follows the decorative rule, with the epigraph and text under it. 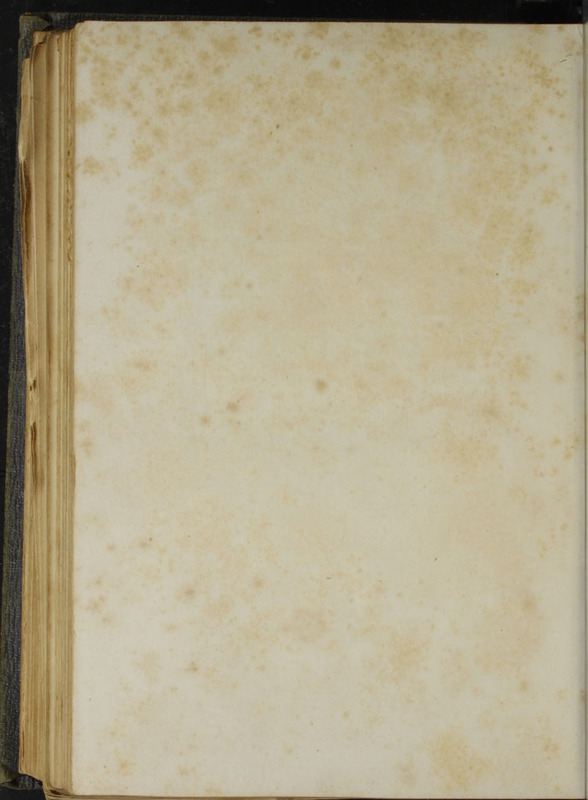 This is the back pastedown of volume 1 of the 1851 George P. Putnam 1st Edition, Version 3. 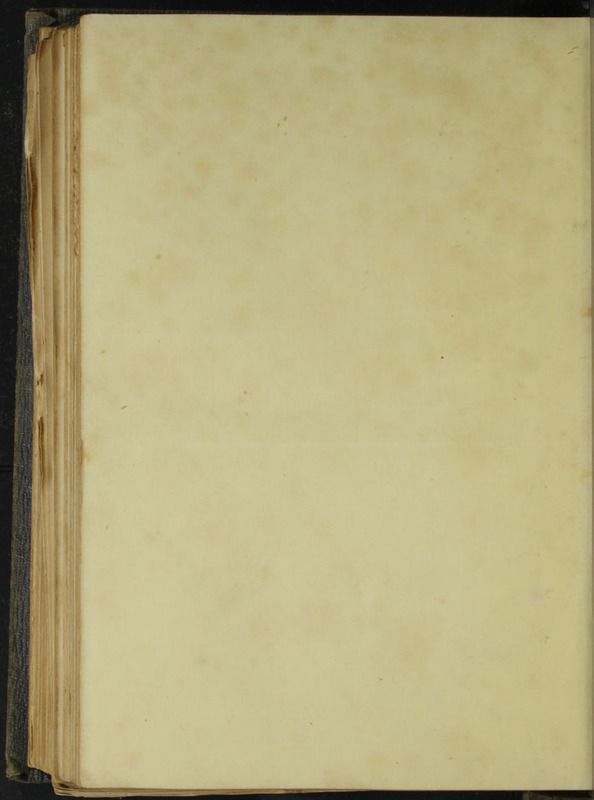 This is the verso of the second back flyleaf of 1851 George P. Putnam First Edition, Version 3. This is the back-right flyleaf of volume 1 of the 1851 George P. Putnam First Edition, Version 3. 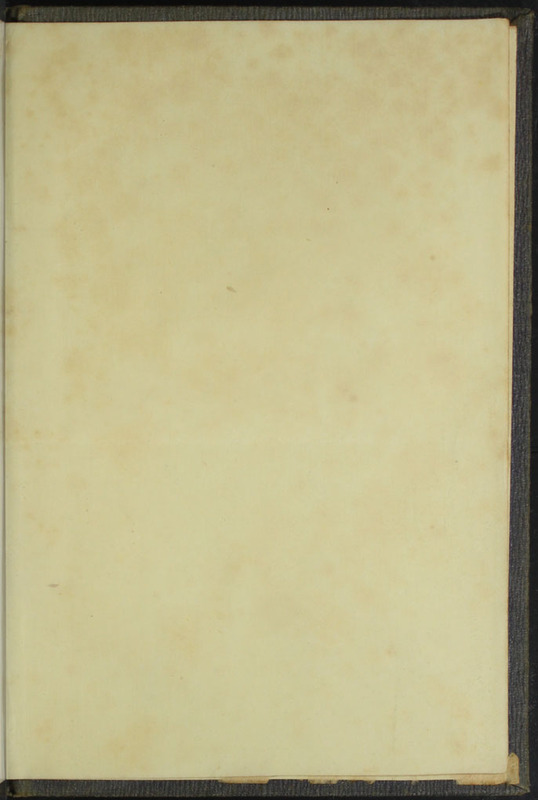 This is the verso of the first back flyleaf from volume 1 of the 1851 George P. Putnam First Edition, Version 3.